We offer our reputed clients with a wide range of Embroidered and Schiffly fabrics. 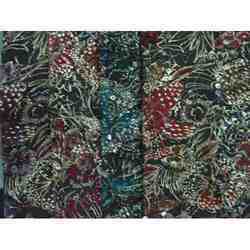 These fabrics matches the needs of our clients for designing and stitching different types of garments. Available in a plethora of colours, designs and patterns, our range of Embroidered and Schiffly fabrics are known for its colour fastness, durability, texture and beautiful designs. We offer Embroidered Schiffli Fabrics that have captured a great attention in the market for its quality performance. Moreover, our range of fabrics are made from quality raw material that is procured from trust worthy vendors of the industries. 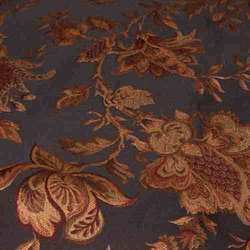 We offer these designer fabrics in various bases as per required by the client. Uses: Laces, Caps, Bags, Garments, Scarves, Home Decors, Etc.